Deploying Sisense on Amazon provides a flexible and powerful hybrid solution for moving all your data to and from the Cloud seamlessly. 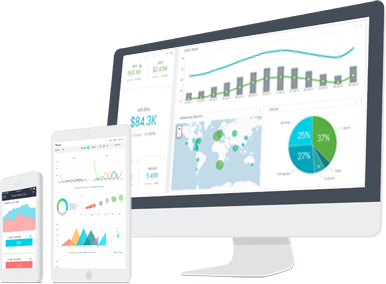 Sisense provides an end-to-end, fully functional business analytics tool that gives users everything they need to analyze data in one single, intuitive tool: ETL and data management, basic and advanced analytics features, and a stunning visualization and dashboard reporting interface. We’ve partnered with Amazon (AWS BI) to give our users an unparalleled Cloud BI solution, allowing you to move all your data to the Cloud quickly, hassle-free and with minimal implementation costs. The ElastiCube pulls in data from dozens of different sources, creating a centralized repository and a single source of truth out of diverse and disparate datasets. The ElastiCube is deployed on Amazon (AWS BI), serving as your agile data warehouse in the cloud, for both structured and unstructured data (see all data sources). In-Chip Technology ensures your virtual machine will be working at full capacity, maximizing hardware resources for optimal performance and incredibly fast query results. The web environment provides a visually stunning and easy-to-use interface for data management and visualization, allowing you to move from terabytes of raw data into serviceable dashboards within hours, with no lag, no lengthy implementation and minimal technical proficiency required. Storing your data on Amazon (AWS BI) means you only pay for the storage you actually use, allowing you to easily scale when your needs grow. Replace the expensive initial investment usually associated with BI projects with a predictable subscription that includes everything you need to get started. Purchase more capacity or replicate environments to support additional users in a click, and on your own timeline. 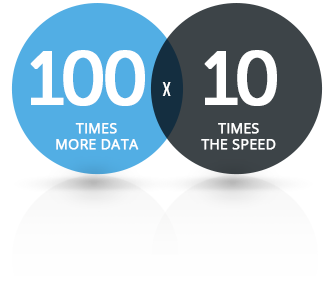 Sisense provides the same service on-premise and in the Cloud. Utilizing Amazon’s virtual machine features makes it simpler than ever to move your data to and from the Cloud and allows you to enjoy the best of both worlds., Sisense does this with minimal disruption to users’ budgets or patience. Cloud storage means your data is accessible anywhere and at any time. Once the data is uploaded to Amazon, you can easily connect Sisense to it and to additional cloud or on-premise sources and start analyzing and visualizing your data. Web-based dashboards drive collaboration between teams, while Sisense technology ensures performance stays lightning-fast even with dozens of concurrent users. Build customer-facing dashboards and display them in the Cloud, without directing this external traffic to your own servers and data. Not sure if Sisense on Amazon is right for you? Great news: you can try it out, free of charge. Both Sisense and Amazon business intelligence have a free trial period, during which you can try it out on your own data. If you’re not seeing immediate results, you won’t pay a dime. Meet our ground-breaking approach and award-winning technology. Sisense bridges the gap between traditional, full-stack tools that are expensive and cumbersome, and more modern visualization tools that, while business friendly, lack the powerful technology on the back-end to crunch big data sets. Sisense crunch and visualize a terabyte of data using only a sub-$1,000 laptop with 8GB of RAM.